Adjacent to the breakfast room and overlooking a lush fairway, this gourmet kitchen is a dream. This luxurious country kitchen has an open floor plan and plenty of natural light that provides this kitchen a serene atmosphere. 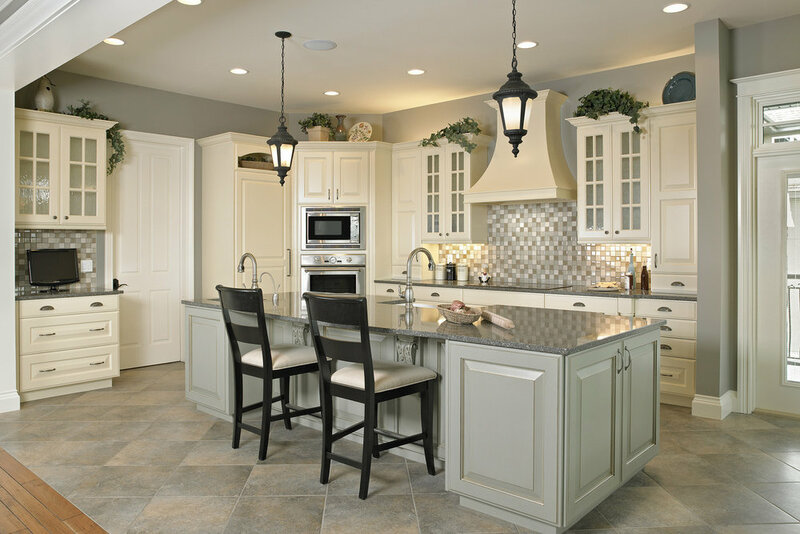 The custom-painted and golden glazed cabinetry features raised panel doors topped with three-piece crown molding and decorative bottom light valance. The beautifully designed hood and backsplash adds drama to the cooking wall. While the decorative post accents, eight lite glass doors and diagonal patterned tile flooring turns this kitchen into a showcase. The open airy feel of this gourmet kitchen with traditional cabinetry details like turned posts on the island and door matched panels.